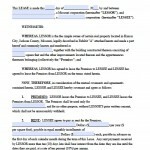 Download the Missouri lease agreements that allow a person to be able to rent property to someone else, also known as a “tenant”. 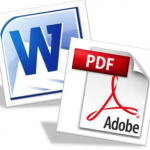 All documents become legal upon the authorization by both parties. 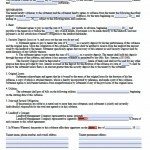 Once the form has been signed and completed, it becomes legal and legally binding until its end date. If either party has any questions or would like to read their full rights they may do so by viewing Chapter 441 Landlord and Tenant Law. Commercial – For the use of office, retail, or industrial space. The landlord should verify the entity (if applicable) with the Secretary of State’s office to ensure it is valid. 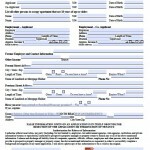 Rental Application – Use to legally view a potential tenant’s credit, employment, and rental status and history. This form is typically used by a landlord or management company before issuing a lease in order to make sure the lessee is able to pay rent. Standard Residential – Use as a landlord or property manager to legally protect your property when renting to a tenant. It is highly advised that the potential tenant be screened through the use of a rental application before signing. Both parties are legally bound after signature and each should keep copies for their records. Sublease – Is a contract between a person currently under a lease (“sublessor”) and a someone else seeking to rent the same or a portion of the same property (“sublessee”) for a period of time. The time-frame cannot be longer than the original lease the sublessor holds with the landlord and all payments must be made to the sublessor. Note: The sublessor is still responsible for all payments to the landlord or property manager even if the sublessee does not make payment. 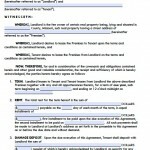 Returning to Tenant – Must be done within thirty (30) days of lease termination. If there are any deductions they must be stated in an itemized list.